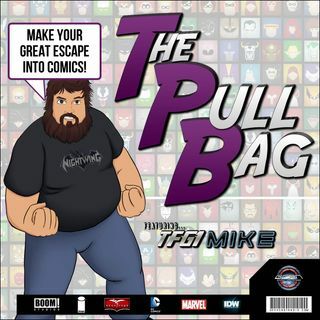 In the 135th episode of The Pull Bag Beatlesdiva the "Pinkie Pie of Podcasting" Joins TFG1Mike in reviewing the first two issues of KENNEL BLOCK BLUES!!! this four issue miniseries will be an epic tail!! For both Cat and Dog lovers! As always remember to MAKE YOUR GREAT ESCAPE into Comics!!! !